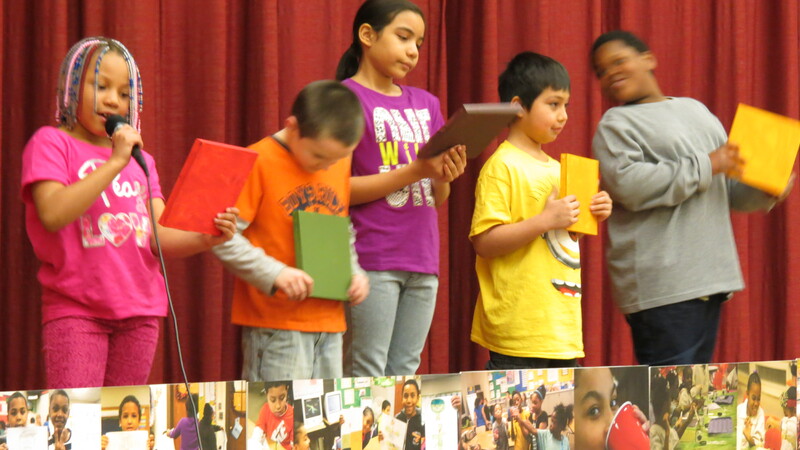 On Thursday, March 20, an excited collective of third-grade students from Seymour Dual Language Academy unveiled their work of art: a Nature Matching System mural. The students worked last fall to learn the connection between food color and nutrition value. They created superheroes with powers based on phytonutrients, made smoothies and painted panels that would be compiled into a mural displayed in their school cafeteria. This project was funded by a Community Foundation grant. Partners such as Syracuse University’s School of Architecture, Nojaim Brothers Super Market, Associate Professor Marion Wilson, 601 Tully Center, and New York City artist Tattfoo Tan all collaborated to teach and remind children to eat healthy every day. 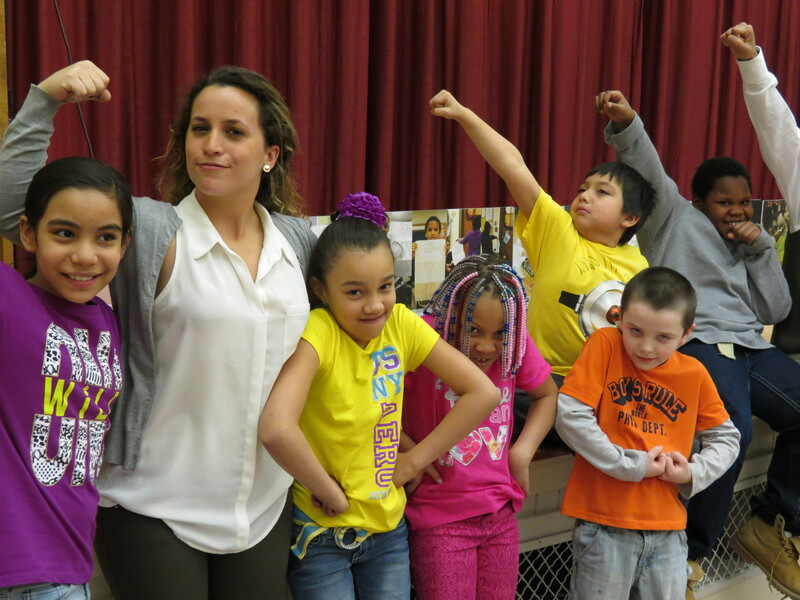 Syracuse University Architecture student, Becky Cohen, poses with third-grade students from Seymour School’s Nature Matching System Mural unveiling. Third-grade students from Syracuse Dual Language Academy share stories with their school at the Nature Matching System project mural unveiling at Seymour Academy’s cafeteria.